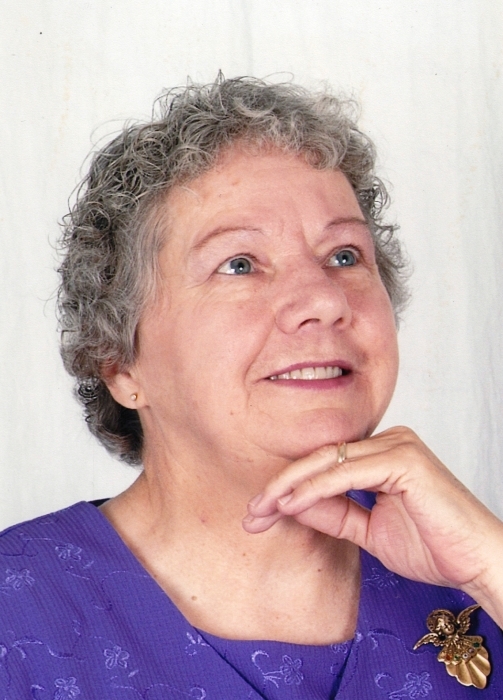 Mrs. Judy Youngblood, 73, of Cave Spring, died in her sleep Tuesday morning, March 27, 2018, at her residence. Mrs. Youngblood was born in Cedar Bluff, Alabama, October 29, 1944, a daughter of the late Sherman Wood and the late Eunice Trammell Wood. A member of the Grace Fellowship Baptist Church, Mrs. Youngblood had been employed at the Lindale Mills, the Arrow Shirt Company, the Cave Spring Day Care, and prior to her retirement, she had driven a Cave Spring school bus for 17 years. Mrs. Youngblood never met a stranger without leaving them with a poem, a song, and a smile. Mrs. Youngblood was married to Robert “Bobby” Youngblood on July 27, 1963, and was preceded in death by him January 18, 2010. Besides her husband and her parents, she was also preceded by a daughter, Mrs. Connie Y. Dunn March 7, 2003; by two infant grand-children, James Robert Dunn and Jessica Lynn Dunn; by three brothers, Dawson Wood, Sherman Wood, Jr., and Quinn Wood; and by 4 sisters, Mrs. Dot Laurent, Mrs. Doris Humphrey, Mrs. Dyrece Hardin and Mrs. Darlene Hill. .
Mrs. Youngblood is survived by a daughter, Mrs. Cindy Gillespie and her husband Kenyon of Cave Spring; by three grandchildren, Mrs. Melissa (Matt) Bentley, Mrs. Trista (Braden) Ragsdale, and Cole (Hannah) Dunn; and by 3 great-grandchildren, Ellie, Avery, and Ivory Ragsdale. One brother, Douglas Wood of Alexandria, Ala., and special friends Dr. Brian Lieberman, Mrs. Carla Moore, and Ms. Terrie Jarret also survive. Funeral services for Mrs. Youngblood were held Friday morning, March 30 2018, at 11:00 A.M. at Grace Fellowship Baptist Church with Rev. Mark Evans and Mr. Kenyon Gillespie officiating. Interment followed in the family lot of the Roundhill Cemetery. Pallbearers included Braden Ragsdale, Matt Bentley, Stanley Steed, Cody Tucker, Robert Wood, and Dr. Brian Lieberman. The family received friends at John House’s Cave Spring Chapel Thursday evening from 6:00 until 8:00 P.M.